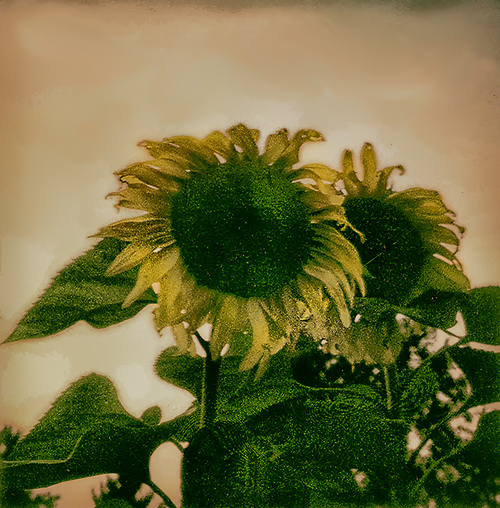 The Sunflowers at the farm grow very tall, but very slowly, only blooming in the last week of August into September. A few are over twelve feet tall and will require the axe to cut down and a spade to dig the roots. Such an artistic and mood enhancing flower-no wonder the classical painters like Van Gogh and Monet prized them.